With winter finally here and much of the East Coast of the Untied States being hit by the recent blizzard, many will be taking to the slopes when they are able to dig out of their homes. New England has some of the best skiing in the country, and many Boston residents will be among those hitting the many local ski resorts. Many will head to ski resorts in Massachusetts, and others will head up to the bigger mountains in Maine and Vermont. These mountains advertise directly to residents in Boston and arrange for bus trips to take the skiers up for skiing and, after skiing, entertainment at local resort bars. However, skiing is an inherently dangerous activity. While it can be fun, it can result in serious personal injury. Often times, an accident is nobody’s fault, as it just something that can happen while on the mountain. 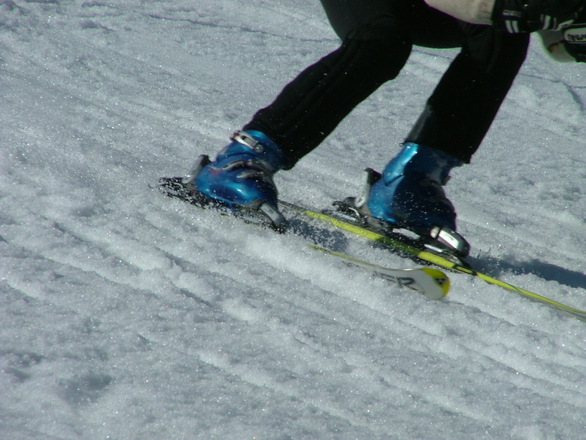 Even if an accident was the result of negligence on behalf of the mountain management, they will often try to escape liability, because you almost certainly signed or otherwise agreed to a general waiver of liability before going skiing or snowboarding. The release of liability forms may even attempt to excuse the mountain from liability for acts of gross negligence committed by their staff. This particular waiver is not necessarily in accord with public policy, and you should speak with a Boston personal injury lawyer to see if the waiver is valid in your particular case. In addition to accidents caused by nothing more than bad luck and accidents caused by the negligence of mountain personnel, there are also accidents caused by mechanical defects involving chairlifts. While many skiers take riding the chairlift for granted, it is a giant piece of moving machinery that suspends riders upwards of a hundred feet off the ground and can result in serious personal injury in the event of a mechanical failure. According to a recent news feature from NECN, one chairlift at a New England ski resort experienced a mechanical failure last year that resulted in seven people being injured. The accident occurred on the nearly 30-year-old lift after the failure of a drive shaft in the gearbox that prevented the lift from rolling backwards down the mountain. At this point, the emergency braking system failed, and the chairs started accelerating backwards, resulting in seven people suffering a personal injury. The people that were injured fell off the lift when this rollback occurred, causing the injuries. After the two separate breaking systems had failed, a lift attendant was able to pull an emergency hand brake. This brake was entirely mechanical and engaged when the handle was pulled, causing the lift to come to a quick stop. The chairlift was closed the day of the accident and had remained closed until $800,000 improvements were complete and local authorities determined it was safe for riders. The newly redesigned lift features the latest automatic braking systems and anti-rollback technology to prevent such a rollback accident from ever happening again.